The 21st century continues to present educators with new horizons and schools are challenged to prepare students for our rapidly changing world. 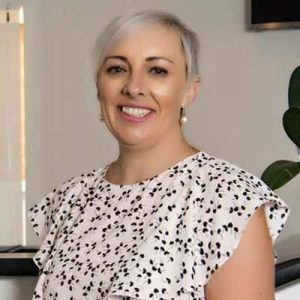 The recent Gonski 2.0 report called for our education system to develop a creative, connected and engaged learner in a rapidly changing world. These ideas were very much the context behind the English task that Year 7 students are currently working on. 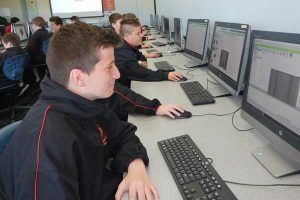 As a part of this learning activity, Year 7 students participated in an Immersion day on Tuesday 21st August that allowed them to engage with a range of technologies whilst giving them an opportunity to work collaboratively and creatively. Students participated in a range of workshops giving them the skills to create a Fortress for the Hero that they created earlier in the unit. 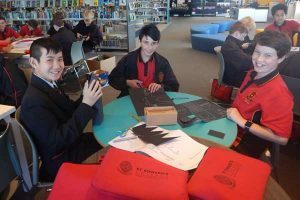 These workshops on Minecraft, Fusion for 3D printing and model making provided students with the opportunity to develop some new skills and consider the type of visual representation they wished to develop as a part of their creative writing task. There was also an historical element to the day when Year 7 learned about the defensive features of Medieval castles and fortresses. The day also included a Cardboard Challenge that allowed our students to work together to create a chair, that would hold their weight, out of cardboard without using any glue, tape or staples. The students firstly developed a proto-type out of cereal box cardboard and once this was completed, were allowed to start work on their chair, a ‘Throne’ for their hero. Some students were successful, others’ thrones did not quite hold them, whatever the outcome the activity encouraged innovation, learning from trial and error and showed students that learning can be both hard and fun! In lessons following the immersion, students were required to complete a reflection piece of writing on the immersion. Below are examples of their account of the day. We scramble to put our cardboard chair together whilst Mrs Murdoch is mid-way through her sentence of saying “5 minutes left”. My group is working to get those chocolates that were promised to the winners. “3 minutes left”, we panic and do our best to finish the chair on time. Every chair has failed so far on the sitting test and then comes our opportunity to win the challenge, but as soon as I sat on the chair, I noticed something. One of the support legs had folded and before I could blink the chair crumbled and our chance of winning the chocolates were crushed. Even though our chances were crushed, I learnt how important teamwork is when trying to achieve goals. “5 minutes left” The teachers yelled out to us. Our hearts sunk, and panic took over as we scrambled to try and put every part of cardboard to use. “The cardboard is ripping open” I yelled to no one in particular, this caused havoc in our team as we all frantically shoved our hands in the box to try and stop it from ripping further. We tried to come up with a solution to keep the throne upright, however, this only resulted in us aggressively shoving all the scrap cardboard into every open space we could see. “Times up, leave your chairs and take a seat” said Mrs. Murdoch. We disappointingly looked at our throne as the cardboard slowly tore apart right before our eyes. After this we knew we didn’t have a chance of winning the challenge. We decided to say goodbye to our creation and placed it into the recycle bin. When it was in the bin we learnt how hard it really is to make a chair out of only cardboard, no sticky tape and very limited time. We had also learnt not to go into challenges thinking that it would be so easy. Making a cardboard chair was harder than I expected. This wonderful learning opportunity required a great deal of detailed and creative planning by a team of dedicated teachers. I would like to thank Mrs Michelle McDonald, Mr Jackson English, Mr Greg Steele, Mrs Heidi Englund, Mr Paul Sullivan, Mrs Anthea Pearson, Mr Daniel Eastwood, Mr Matt Young, Mr Jay Brown, Mrs Betty Kiekebosch, Mrs Kathy Edwards, Mr Ray Fitt and Mrs Carolina Murdoch. The contact person for all families seeking enrolment. An additional contact person when parents are unsure of who to direct a query to. Organisation and promotion of key parenting information sessions on topical issues to support parents with their adolescent sons. Management of information for parents through the new section of the College newsletter titled Parent Connection. This new role is designed to continue some of the work that was previously completed by the Parents and Friends Association which because of long term declining numbers, is no longer functioning. It is the intention of this role to provide ongoing support to the College and families into the future. Kellie is a highly professional, enthusiastic member of staff who I have every confidence will provide wonderful support for families. 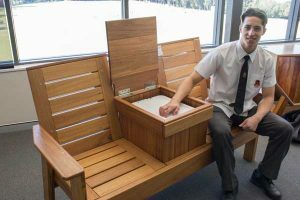 The students of St Edward’s maintain many talents in a range of academic and creative pursuits. 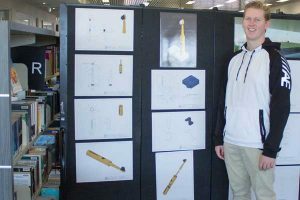 These skills and talents were on display on Thursday August 16th at the Industrial Technology, Visual Arts, Photography and Extension History Exhibition held in the Shanahan Learning Centre. Students in these subjects have devoted countless hours to the development of major works and supporting portfolios under the expert guidance of their teachers. 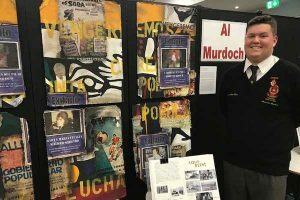 The quality of the work, the attention to detail and creativity of the major works on display demonstrated the great opportunities that students are provided with at St Edward’s to work on their skills and areas of interest. These major works will be marked over the coming weeks by external HSC Examiners and will make up to fifty percent of their final HSC mark in each of these subjects. I would like to congratulate the boys on their commitment to these major works and thank their teachers for their commitment to assisting these boys realise their potential. 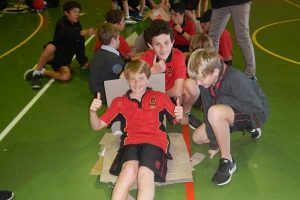 St Edward’s College, in collaboration with the University of Newcastle, hosted a Science & Engineering Discovery Day for Year 5 students from Catholic Primary Schools on the Central Coast. The event was held over two days to allow as many students to participate as possible. Students were challenged to creatively solve science and engineering problems, work as a team and compete against their classmates and peers. I would like to thank the College Science Coordinator, Mr Trent Foster, for planning this wonderful opportunity for budding young scientists on the Central Coast. The second of the Term 3 Parent Teacher Nights is scheduled for Thursday 6 September. This is the last of these evenings for the year and parents are encouraged to attend to gain feedback on their son’s progress. Parents who have not yet made bookings for this evening are still able to do so through the PTO booking system. I would like to once again remind all members of our community of the support we will be providing young men, boys and babies living in the Kibera slum in Nairobi Kenya. After consultation with Sister Leonida (the leader Women for Women organisation in Kenya), we are collecting new boys and men’s underwear and small children’s beanies to take with us on this year’s immersion. There is a desperate need for these items of as many of the young boys living in this impoverished area have only one or sometimes no clean underwear. Similarly many mothers need assistance in ensuring that their young children remain warm in winter and children’s beanies are a simple item of clothing that can help provide this warmth. Our wonderful library staff will be collecting these items from families wishing to donate. Your support of this initiative is greatly appreciated.